Oh man oh man The Life Changing Art of Tidying Up looks like such a strange book but also so beautiful – I’ve been on the hold list at the library for what seems like years! I hope that you enjoy it :) Happy reading! Nice lineup. Wishing you a productive and fun readathon day. The Readathon is helpful on so many levels, right? Spend all day reading? Check! Finally read those books that have been giving you the stink eye for six years? Check! Spend time with the roomie? Check! 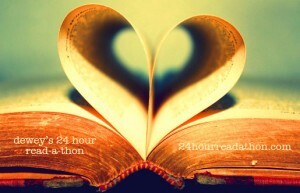 Have an awesome Readathon! I can’t wait to see which books you get to read!! 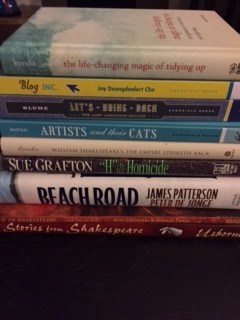 Readathon should be all about the fun! I’m glad you’re going into it with such an awesome attitude. Enjoy! #TeamPopper will be here to cheer you on!